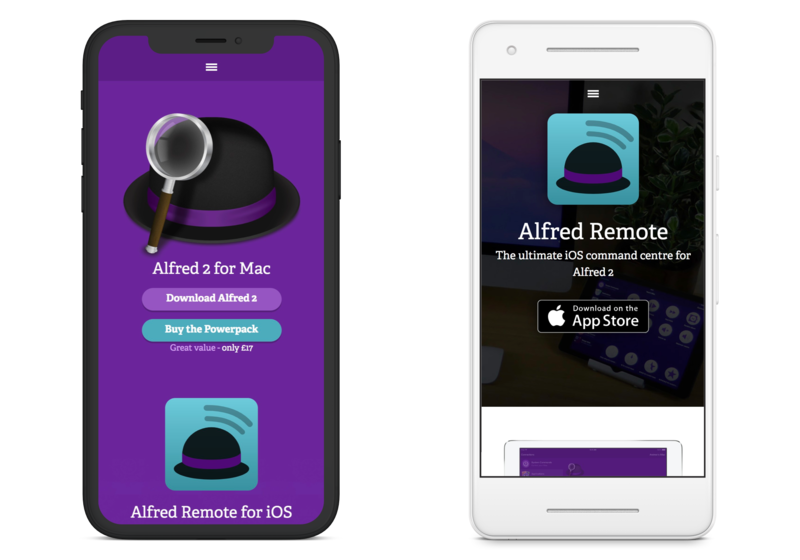 Alfred App has become one of the most popular productivity tools on OSX with thousands of users worldwide and awards from all the top industry publications. I've worked with Andrew and Vero from initial conception of the app looking after branding, web design, iconography and application UI. 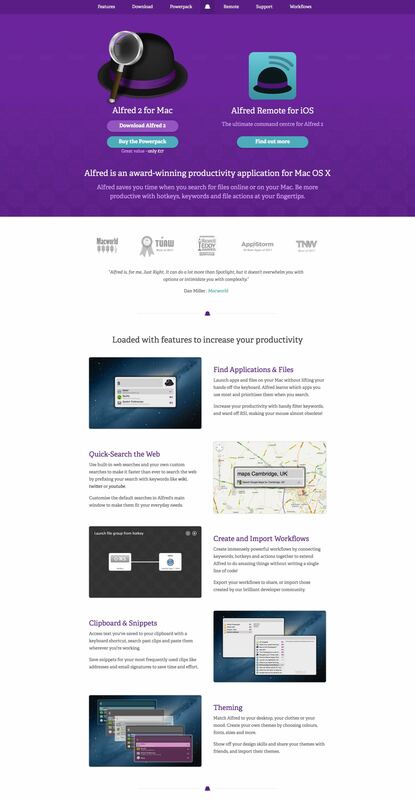 The site has recently had a redesign in house but the v2 design is as below.